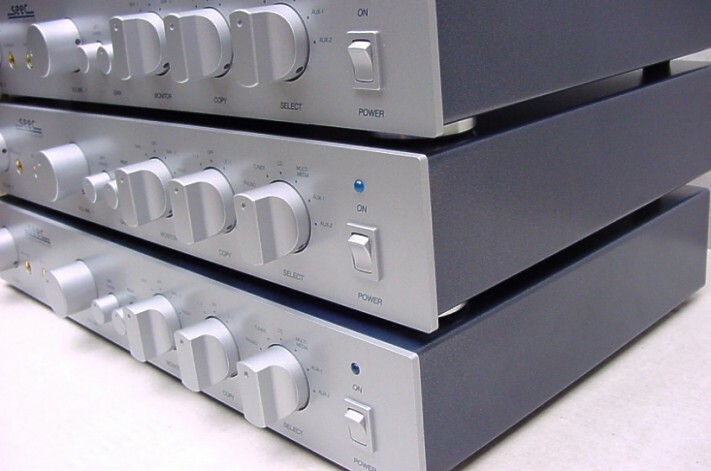 The EQUATOR-PR4 stereo (X2) preamplifier design has high precision for all analogue audio signal sources, with outstanding performance, especially designed for the reproduction of music for professional and semi professional users, and embodies pure listening pleasure. Cable reflection and phaseshifting inherent to this "new" standard found a fundamental solution. * The new 75 Ohm interconnection method developed by SEEC for professional applications, will now solve most of all these problems. Higher driven energy levels are then an absolute requirement. In combination with SEEC equipment this improvement will come to its full performance, to serve the spoiled music lovers. Speaking in terms of music: A level of dynamics, dimensionality thrue detail and clarity that are immediately appreciated. Superb high detail and articulation at low levels. Natural ambience are presented in harmony with the timbre of the event. In addition to the RCA inputjacks, it has the unique SEEC 75 Ohm "in" and "output" combination. Making use of the this new 75 Ohm system designed by SEEC for professional applications is strongly advised. 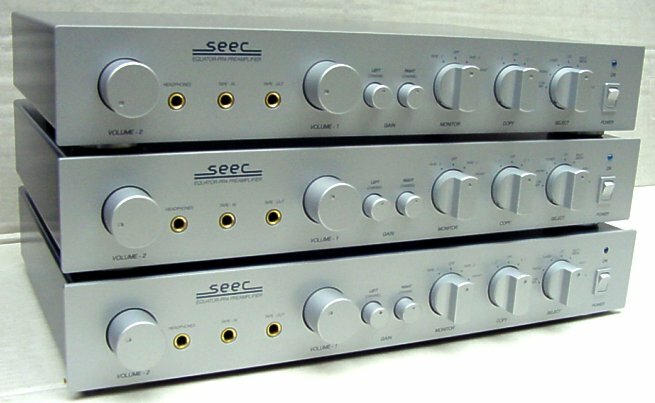 The compatibility on this preamplifier is extended with the possibilities by means of ten (10) gold-plated RCA cinch stereo input connectors. Also supplied with a high quality class A phono stage. The EQUATOR-PR4 is a precision instrument to which nothing is left over to a coincidence.